As I write this we have been up for 26 1/2 hrs. Got up at 4:00am Rothenstadt time. Showered and hauled luggage downstairs. Erik had already left for work. Made a cup of coffee. Kathryn got Alessandra situated in her car seat and we left at 5:40am for Munich airport. It was a rainy day. 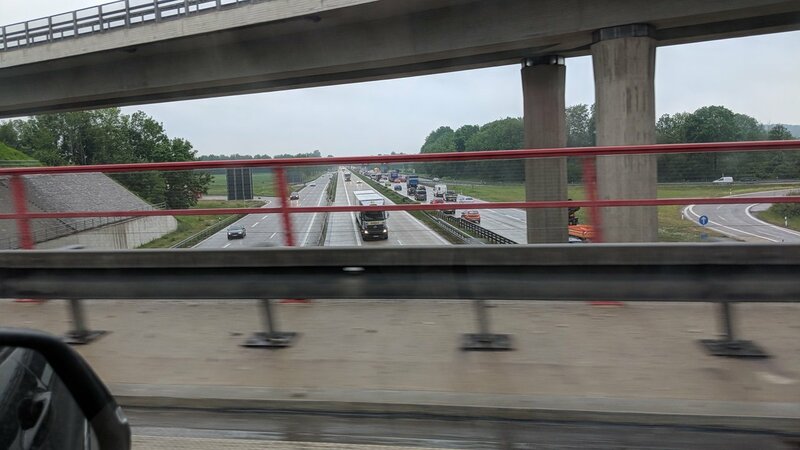 Quite a bit of traffic on the Autobahn. 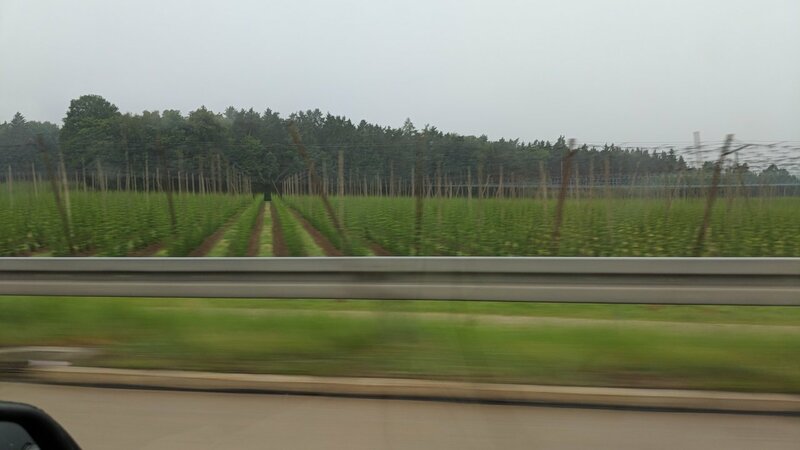 As we got near Munich we started to see lots of hops fields. It grows on poles and reached about 20′ high. Got to the airport about 7:40am. Everyone at the airport was friendly and helpful. Forgot to put the liquor from Budapest in checked and it got confiscated. Flight was not full and we each got an aisle seat with an empty seat between us. Food was good. Flight was 10 hrs long. Got to Atlanta on time but customs was slow. Just got to gate in time for flight to Minneapolis. Got to Minneapolis on time and Tony picked us up. Joy was glad to see us. Jimmy ordered pizza. Left Hastings about 10:00pm and drove to Monticello, where we are spending the night at Super 8. Follow the Hilleys as they Travel, Proudly powered by WordPress.